Sojourn Hotels LLP TA Splendid Hospitality Group. Mr Philip Bolson has been in the hospitality Industry for nearly 30 years. From his early days as a Manager with Whitbread through to stints with Travelodge as a Regional Manager, Wyndham Hotel Group as UK & I Operations Director, Redfine BDL as a Divisional Director right up until his current role as General Manager of The Grand, York. 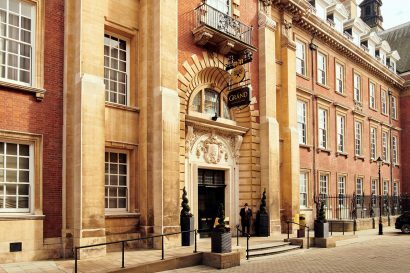 Originally joining Splendid Hospitality group in 2015 as Group Operations Director, overseeing the limited and full-service Hotels before taking on the Flagship role at The Grand to drive the Hotels transformation. The Grand has undergone substantial investment over the last 24 months, with £15 million doubling it’s bed-stock to 207 bedrooms, opening up a second restaurant and bar, launch of an executive lounge and the transformation of the arrivals lounge. 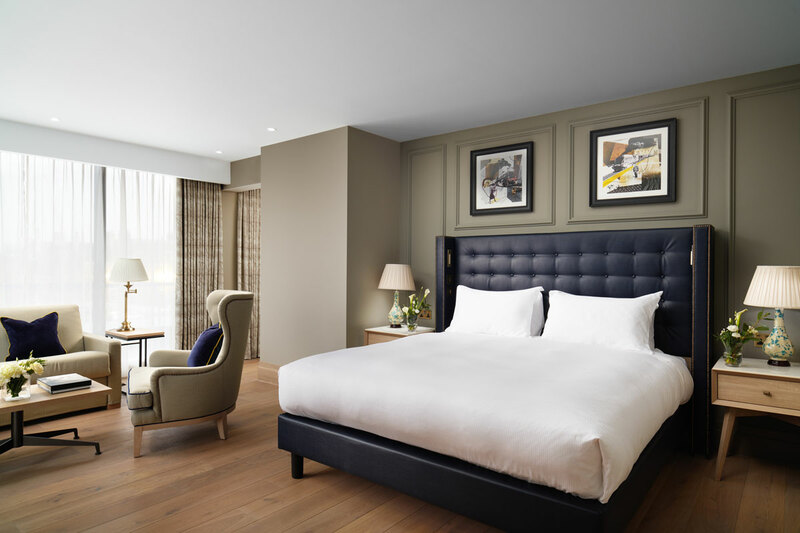 In Spring 2019 the investment will continue with the opening of the citys first luxury cookery school and continued investment in our rooms and Suites. Originally built in 1906 as a ‘Palace of Business’ for the headquarters of The North Eastern Railway Company, then one of the richest businesses in Britain. 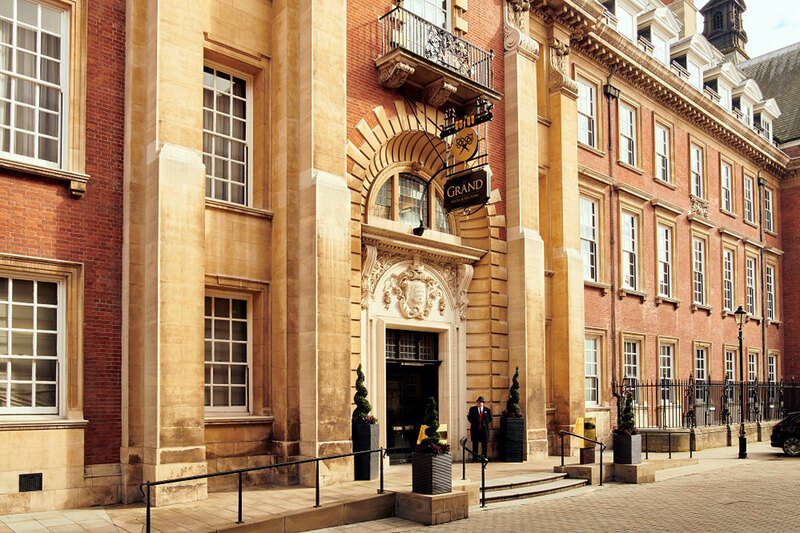 The Grand was restored to the splendour of its Edwardian heyday during its transformation into a luxury hotel in 2010. 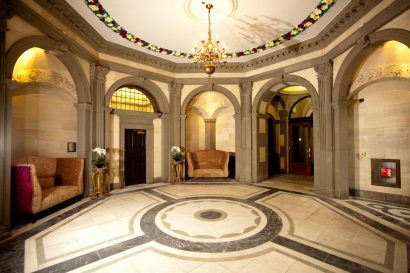 Everywhere you turn tells a story of the buildings history, from the vaulted doors within the spa, to the original office numbers carved above the doors. 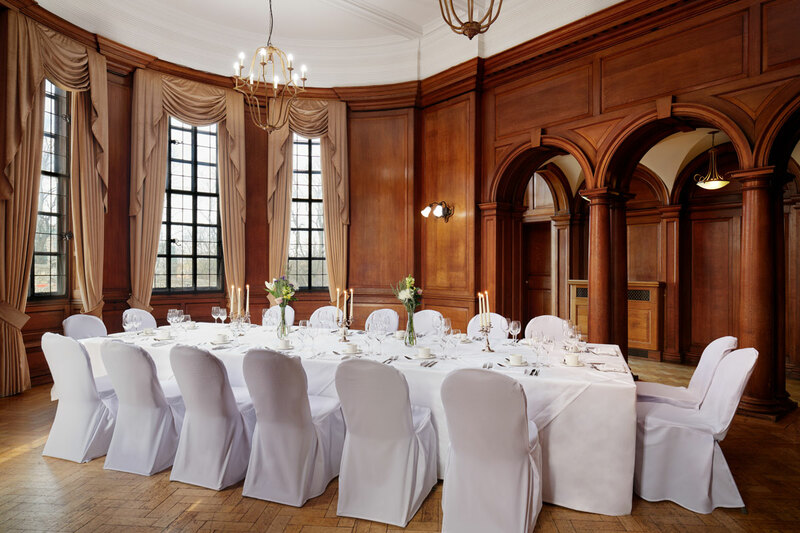 Historic spaces such as the old chairmans office now provide perfect settings for company meetings and private dining and celebrations. 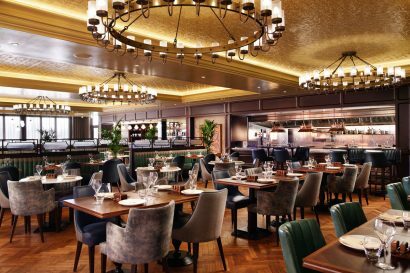 August 2017 – Full renovation of Husdons by Craig Atchinson3 AA rosette fine dining restaurant. June 2018 – Full rennovation of the hotels 1906 bar. 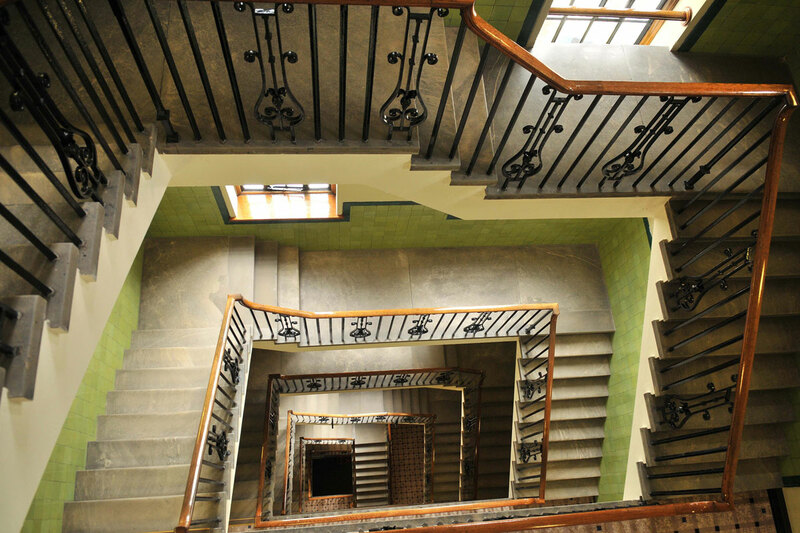 The designer for the above was Twenty 2 Degrees and was inspired by our Edwardian building. June 2017 – The Rise Restaurant, terrace & bar opened on what was previously an outdoor terrace, 130 seater restaurant. April 2018 – White Rose Lounge opened, exclusive lounge forsuite guests. March 2018 –Opened an additional 100 new bedrooms after £15m Investment and Hotel extension. Designer was Twenty 2 Degrees. 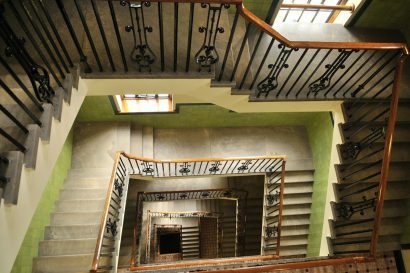 The history of our building and the stories we can share make your stay at The Grand ultra special. This combined with our Yorkshire hospitality which is hospitality like no other makes The Grand extra special. Ensure you explore areas such as the Spa where they once stowed millions of pounds for the railway during your visit. Imagine a city with Roman roots and Viking past, whereancientwallssurround 30 world-class museums, independent shops, vibrant eateries and a festival for everymonth of the year. Welcome to York – the Original City Adventure! The Grand isbased 2 minutes walk from York Station in the heart of the City. Just 1.50hrs from London and 2.5hrs from Edinburgh. 6. Castle Howard – one of Britains finest stately homes, an 18th Century magnificant historic house. 1. During building work for the additional 100 bedrooms, an old Roman wall was discovered below the site. 2. 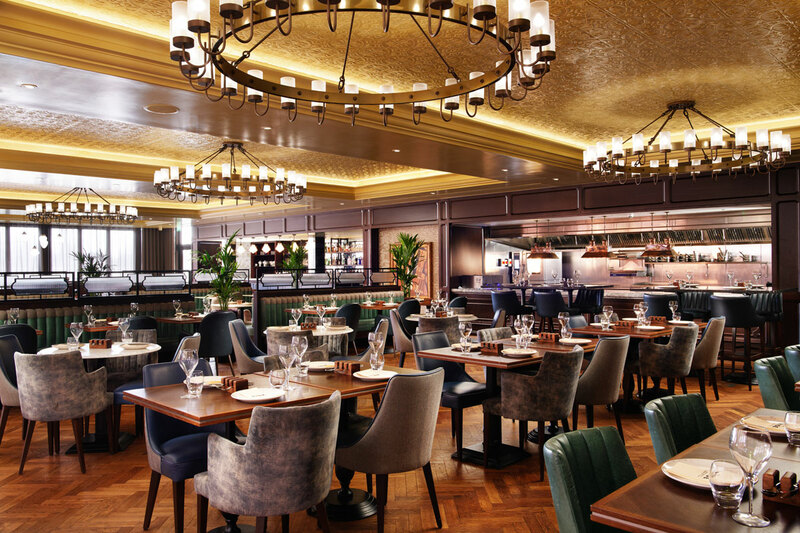 The Grand Boardroom, the hotels largest function space once housed the largest board table in Britain. 3. Roman coins and artefacts where also discovered whilst excavating the swimming pool. 4. The Paterson Suite, a small function room within the hotel was named after Frank Paterson, General Manager of the North Eastern Railway and Frank still lives in York today. 5. For many of the hotels bedrooms, the original office numbers are still carved above the doors. 6. The Penthouse Suite was once the railway company care takers flat, where he lived with his family. Children are classed up to 14 years of age. Children’s menu including afternoon tea is available. Children’s Bathrobes and slippers will be provided in the rooms. Extra beds and travel cots available to accommodate children up to 14 years. Funvintage pedal cars available for children staying in our suites. Children activity packs in the room on arrival. I maybe little but i’m still ‘Grand’ balloons in room on arrival. Our Grand Heritage Suites are traditionally styled, with a stunning combination of modern décor and original features. Enjoy a comfortable bed with Egyptian cotton bedding, spacious lounge, sunken bath and walk-in showers, with separate guest toilets. The perfect space to escape the middle of historic York. Grand Heritage Suites are 602 square foot/562M up to 645 square foot/602M. Each one of our historic heritage suites is discerningly unique and tells its own story. 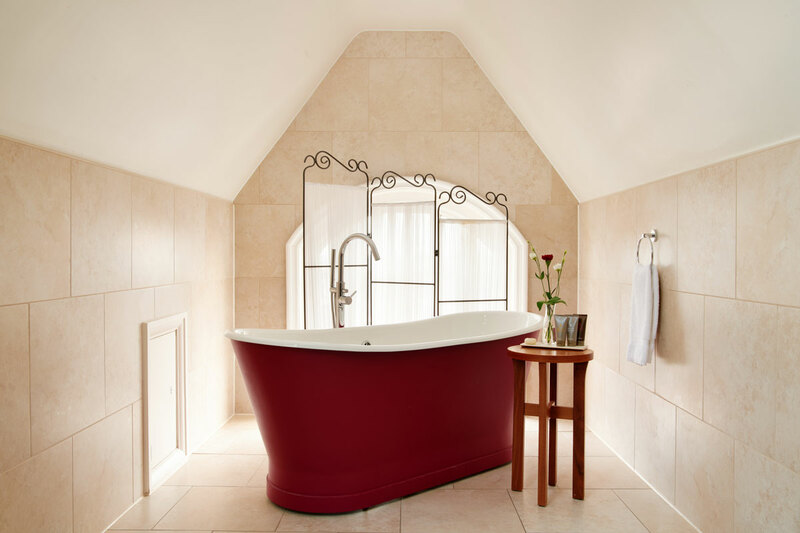 Abundantly spacious, with ‘his and hers’ sinks, single and double walk in showers, indulgent bathtubs and feature windows, our suites really are something special. The spacious seating area offers a relaxing space to finish your day in style and comfort. Heritage Suites are 495 square foot/462M up-to 548 square foot/512M in size. 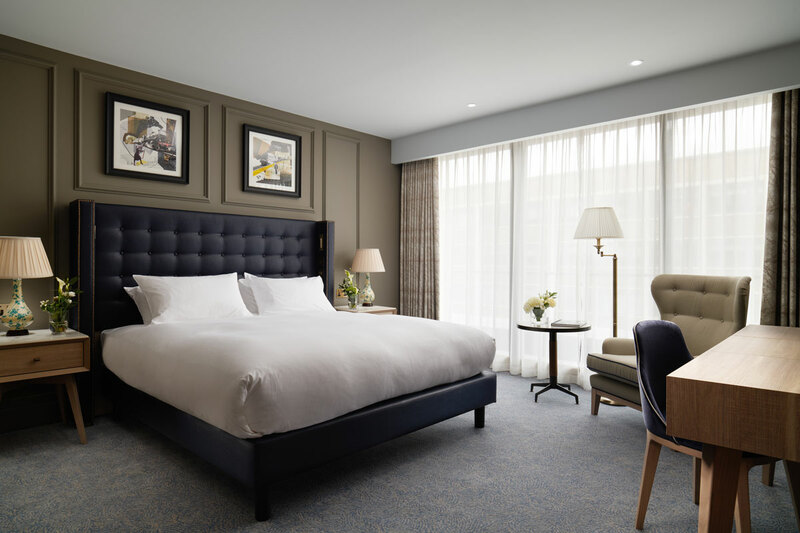 83 Executive bedrooms – Slightly larger than our Classic Rooms, the majority of our Executive Rooms also benefit from a walk-in shower, as well as marble-topped bathtubs. These rooms give you more space to relax and include complimentary access to the spa as well as a work desk area, perfect for business travellers. Room sizes are approximately 398 square foot / 382M in size. 104 Classic bedrooms – Our Classic Rooms are designed for discerning guests looking for a comfortable and stylish base which to do business or simply relax in following a hectic day enjoying the sights of York. They are special with elegangly designed bathrooms featuring a sunken marble bath with a power shower over. From 31m2 they benefit from underfloor heating,luxury toiletries,bathrobe & slippers, welcome tray, airconditioning, work desk and fridge. 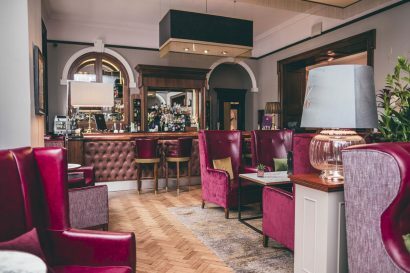 • The Rise Restaurant, Terrace &Bar – Modern British cuisine made with fresh, seasonal, locally sourced ingredients. Open kitchen, cocktail bar and heated garden terrace. Live music on selected dates. 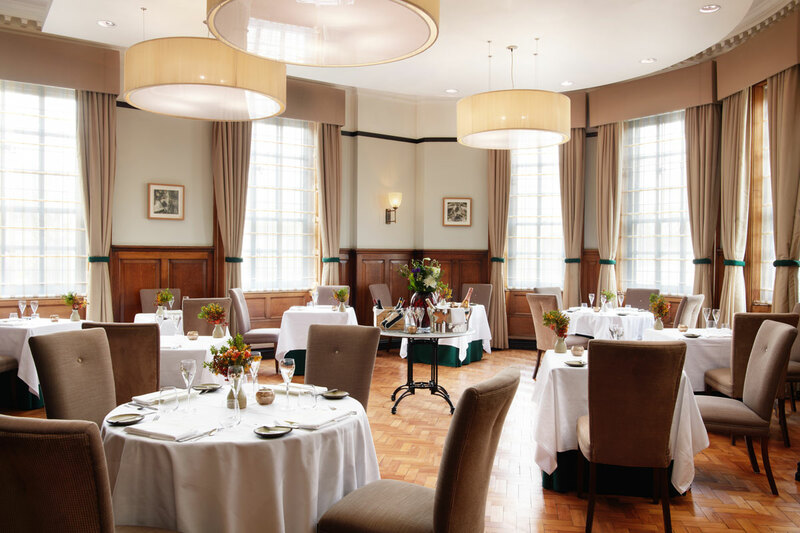 • Hudsons by Craig Atchison – 3 AA Rosette fine dining restaurant, ever changing nine course tasting menu using locally sourced and foraged produce. 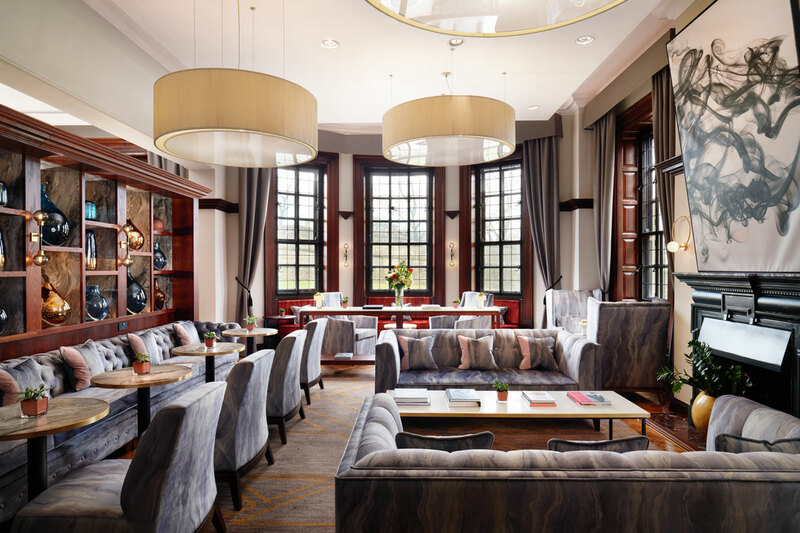 Afternoon tea at The Grand – choose from formal Grand afternoon tea or a more relaxed and fun afternoon tea. Bed and breakast or half board available. Spa at The Grand is located in the vaults of the building. An exclusive feel in a roman setting. 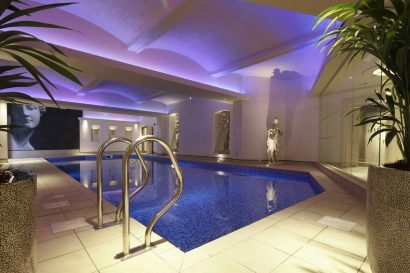 14meter heated swimming pool, spa whirlpool, aromatic steam room, Nordic dry sauna, relaxation lounge, state of the art gym. A range luxury of Spa treatments available at a supplement. • Maximum capacity up to 120 guests. • A range of executive style meeting spaces with floor to ceiling windows, air-conditioning and free wifi. 55 inch plasma screens. •Two flagship rooms with original oak panneling and parquet flooring, these rooms were the original Chairmans office for the railway and the original boadroom, with views across to York Minster. • Cookery School set up open in March 2019. • Due to the location of the hotel, golf and other outdoor activities are only a short distance away.